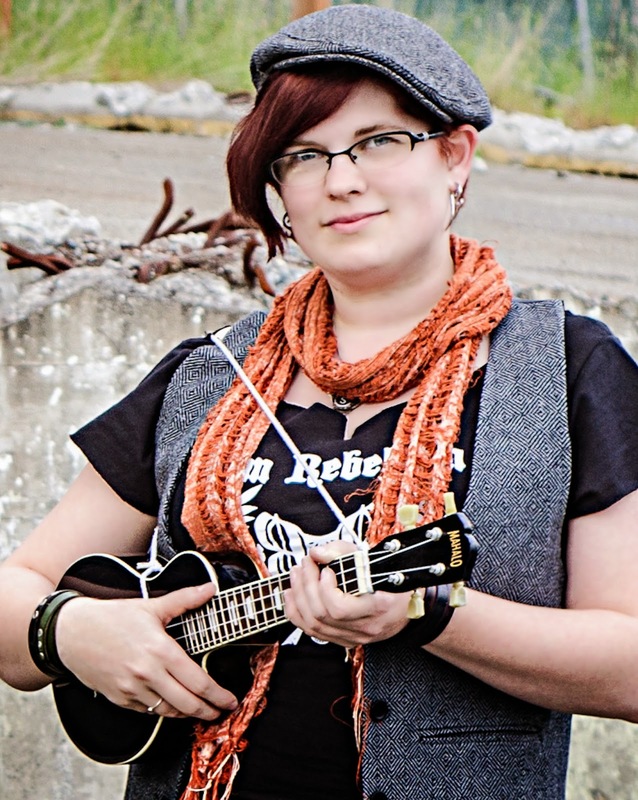 In addition to the vocal and percussive skills you'll see in the show, Sarah plays ukulele and writes songs that are usually nerdy and sometimes sad. She also plays washboard in the folk punk band The Mongrel Jews with her brother Aaron, who is Chief Musical Officer for the show. When not making music, she vlogs and writes short fiction. I was in the second Hello Earth production, so I'm totally thrilled to be back. I can't wait to see what kind of musical shenanigans we can come up with for this new script! I play in The Mongrel Jews with my brother Aaron, and also play solo ukulele. I post videos of my solo songs along with vlogs on my YouTube channel, and I'm working on a collection of short fiction. I also spend a lot of time watching TV shows with my cat. I was very involved in theater through middle and high school, but gave it up to focus on writing in college. Although I haven't acted since school (not counting my one line in "This Side of Paradise"), I still love the theater, and attend local productions as often as I can. I grew up watching The Next Generation every week with my family. Wil Wheaton was my first celebrity crush, and together my family watched TNG and most of DS9 and Voyager. Although I'd seen a few of the movies, it wasn't until I did my first Hello Earth show that I actually watched an episode of the original series! I'm looking forward to a computer really properly passing the Turing Test. None of this "convincing a third of the judges that it's a 13-year-old boy for five minutes" nonsense.